Brendan Cummins believes Kilkenny are operating in ‘survival mode’ until they reach Croke Park, at which point they’ll turn on their ‘attack’ status. 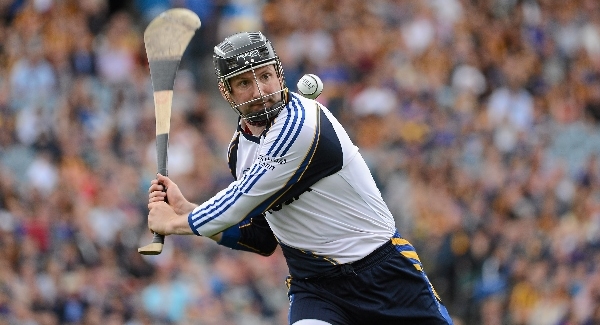 But the veteran Tipperary goalkeeper and all-time Championship record appearance holder has bullishly predicted that even if the Cats do belatedly cut loose, it’s still Dublin’s title to lose. Cummins was part of the Tipp side beaten by Kilkenny in a memorable All-Ireland qualifier tie earlier this month. He revealed his admiration for how Kilkenny ground out that win and then dug deep again to overcome Waterford the following weekend, securing Sunday’s quarter-final clash with Cork. Despite lacking top form and being injury-hit, Kilkenny’s very presence in the Championship means they remain favourites for the title. In fact, many believe that the eventual champions could come from this weekend’s quarter-final ties, with Galway also in action and expected to deliver a surge in form after a shaky summer start. Cummins admitted there are cases to be made for all the teams still standing. But he whetted the appetite by suggesting he can see a Limerick/Dublin decider coming to pass with Dublin — ‘athletes with hurleys’ — best placed to prevail. “I think if Dublin can get the six week lay-off out of the way, I think they can do it, absolutely,” said Cummins. “The energy and the ball winners they have are just scary. They’re athletes with hurleys and they have skill levels that have grown with every match. The six-week lay-off is going to be the question. But I think with Anthony Daly’s know-how, they’ll be okay. They’ve gone down this road before and they’re used to Croke Park. Back at the tail-end of the Allianz League, many interpreted Dublin’s semi-final loss to Cummins’ Tipp as a sign that they would struggle against the top teams. “Don’t mind what we did in the League semi-final,” dismissed Cummins. “Dublin had a training camp the weekend before and they had it fairly hot and heavy for three days. They were leggy coming into that game. You could see it in the way they played. There was no sharpness to them. Anthony Daly has turned it around now, the old dog for the hard road, the Championship is where it counts for him. Cummins was quick to point out he believes Limerick are strong contenders too. As for Kilkenny, who are hot tips to secure a golden ticket to Croke Park at Cork’s expense this weekend, Cummins knows better than to write the Cats off too. “They’re surviving at the moment,” he noted. “I think they want to get back into Croke Park and when they do, they’ll move out of survival mode into attack mode. “I think Brian Cody always talks about the hunger when the final whistle blows and I think that’s what they’re chasing all the time. That’s driving them, I would say.